Libya in its current state is fought over by a host of factions, including officially recognized government agencies, Islamist organizations, rebels and even tribal militias; all with their fair of share of variant regional control. But amid the chaos, it is a group of conscientious civilians who have taken the responsibility of protecting the country’s rich historical heritage. 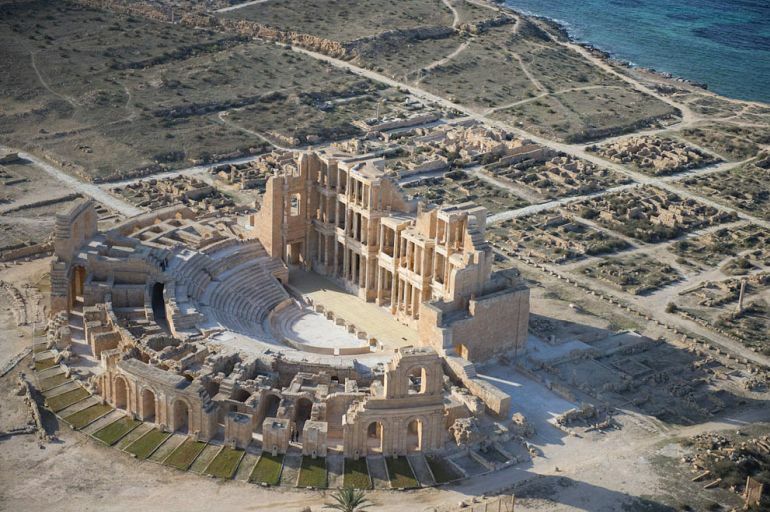 One particular example pertains to the ancient Roman city of Leptis Magna, the originally Punic settlement that was the birthplace of Emperor Septimius Severus. And now, Ali Hribish – a former electricity company employee in his 50s, proudly stands guard over the veritable ruins. His reward – a bevy of letters of appreciation from history aficionados and heritage agencies. [While others defended banks and offices], we immediately thought of Leptis Magna. A bank can be rebuilt, but our monuments and our history are things we can’t replace. This group in question entails around 20 young men armed with their Kalashnikov rifles, and they watch over a substantial area of 50 hectares (120 acres) belonging to the ancient site. To that end, Leptis Magna, while being originally founded sometime in 7th century BC as a Punic city, grew into strategic Roman stronghold in North Africa by the late Republic time. Much of the growth had to do with the fertile farmlands surrounding the settlement along with the profusion of olive groves in the area – so much so that the city was levied by Caesar with a tax of three million pounds of oil annually. However it was in 193 AD that Leptis Magna reached its apex, with Emperor Septimius Severus favoring his own hometown over other provincial cities, thus making the settlement the third largest in Africa, after Alexandria and Carthage. This translated to the creation of a new forum and thermal baths, along with the expansion of the docks (though the later project might have made matters worse by exacerbating the tendency of the harbor to silt up). The over-extension of the logistical scope also reduced the trade volume by the time of the Crisis of the 3rd Century, and the dilapidated city finally fell to the Vandals in the first half of 5th century AD. Reverting to the current state of affairs, many of the world’s historic monuments are in danger from the ‘Vandals’ of our modern times, namely the ISIS faction. In that regard, the so-called Islamic State (Daesh) has already destroyed a range of priceless artifacts (and historic structures) in both Syria and Iraq. And what’s more, ISIS still has its presence even in Libya, in spite of recent reversals to the group that caused them to lose Sirte, their North African bastion. 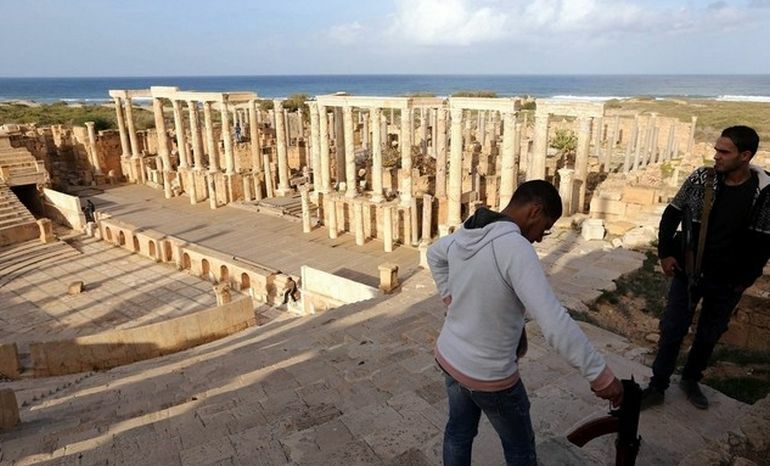 Leptis Magna has been protected from acts of looting and we are continuing to monitor it. We will not allow IS or anyone else to touch it. Putting the words into action, the group had already succeeded in diffusing a bomb (weighing several pounds) in a nearby cafe in 2015. Though according to Hribish, the perpetrators were probably not related to ISIS. 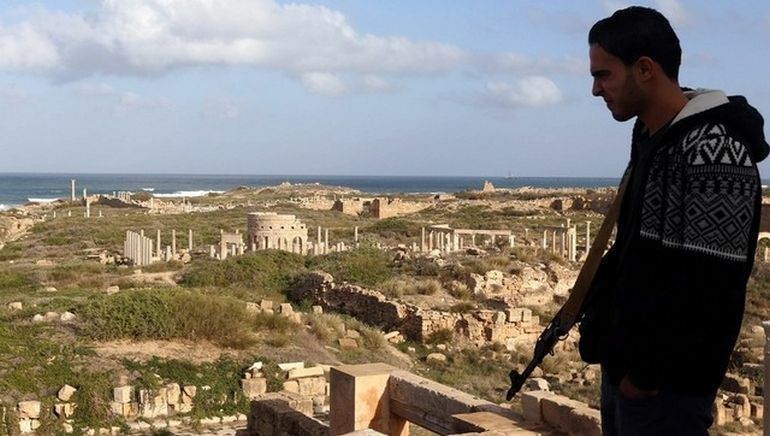 And interestingly enough, even beyond the baleful reach of Daesh, the civilian protectors are also worried about commercial intrusion, like in the case of developers destroying parts of Cyrene (an ancient Greek and Roman city in eastern Libya) to build residential projects. In fact, Hribish’s group has also managed to put a stop to the ongoing plans of setting up unlicensed shops in the vicinity of the rich Roman ruins. Now of course, from the practical perspective, Hribish doesn’t harbor any delusion that his diligent yet rag-tag group would bring about a permanent solution of protecting the ancient Roman site. In fact, many of the members have already voiced concern about their lack of equipment, ranging from surveillance cameras, fences to even fire-extinguishers. Relating to the latter, one of the fighters named Ali Ghazi, 26, talked about a particular incident that involved putting out grass fires in the summer. Ali and his colleagues had to revert to sticks (for beating up the grass) and buckets of sea-water to extinguish the threatening flames. We have told the Department of Antiquities, but in vain. Kadhafi marginalized our history and our heritage for more than 40 years. It’s time for us to look after it and show it to the world. 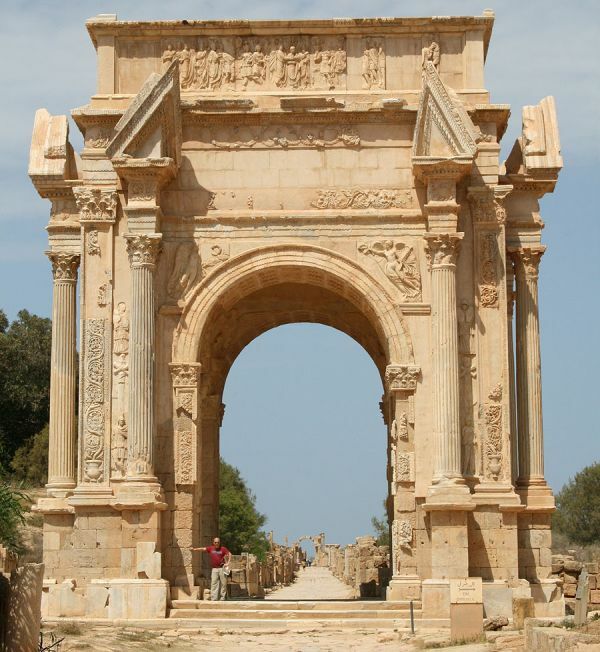 The Arch of Septimius Severus in the North African city. Source: Wikimedia Commons.